Affordable Flat Rate, No Mileage Fees! It never seems like you need towing service at a convenient time. In fact, it is the opposite. You require 24-hour towing service in Tampa, FL, at the most inconvenient times. Late at night. On weekends and holidays. During rush-hour traffic. This is not a problem for the driver/technicians at Express Towing LLC for we provide 24-hour tow truck service. You can be in your car driving somewhere at any time of the day or night. This means there is the possibility that you may need 24-hour towing. Our specially equipped trucks and our certified driver/technicians are available for service in your time of need. Have you ever locked your keys in the car late at night? Have you ever been involved in a crash during rush-hour traffic? 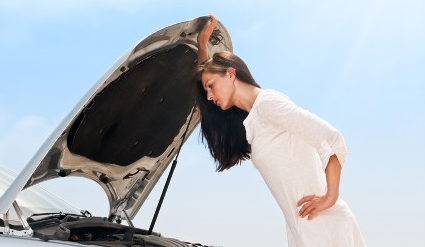 Have you ever had to have your car towed to a garage in the next county for repairs? If your answer is, "Yes," to any of these questions, then you know why our towing company is committed to this schedule. Our 24-hour tow truck is on the road all hours of the day and night because that is when you need our services. Along with our all-the-time availability, our company offers you a number of excellent reasons to do business with us. First of all, we tow a variety of vehicles—cars, SUV, pickup trucks, and motorcycles. Our driver/technicians are ready to travel near and far to get these vehicles to your destination. We provide both dolly and flatbed towing. It is not our practice to pile on the charges. In fact, you do not pay fees or surcharges for extra hooks, mileage, or fuel. One of the biggest compliments our driver/technicians receive from you is that we were there you needed us. Whether we arrived to jump-start your car when it had a dead battery or carefully transported your antique vehicle, we find it very gratifying to hear that our services are truly appreciated. As our company has been in business for more than 15 years, you can imagine how many times we have heard this, but it never gets old. Contact us at any time of the day or night for we offer 24-hour towing service to customers. We serve the communities of Tampa, Brandon, Valrico, Riverview, and Wesley Chapel, Florida, and the surrounding areas.